At Davis, we are dedicated to keeping Art Educators inspired. Whether it’s through SchoolArts magazine or our curriculum and resource books, we strive to help keep your momentum pulsing! Art Acts are monthly Art prompts to inspire creativity. We invite you to participate each month, either individually or with your students. Simply choose the media you’d like to use and create something tied to the monthly theme. 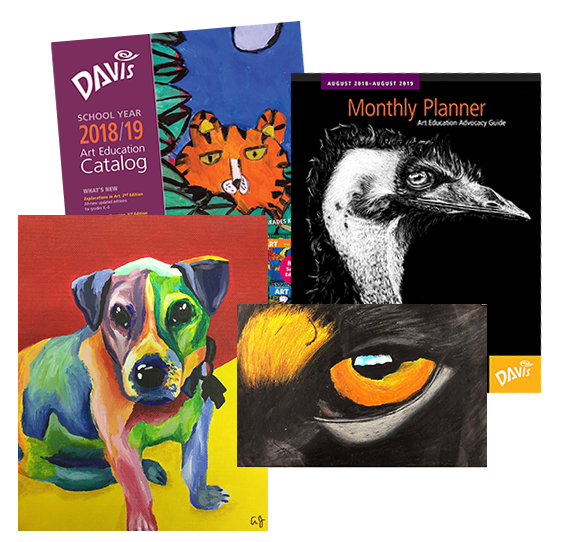 Submit your artwork using the form and your Art Act could be featured in SchoolArts magazine, the Davis Advocacy Planner, or on the Davis website and social media channels. Contact Cameron McKinstry at CMcKinstry@DavisArt.com.